By themselves, and an egg standing on a plate. Last night I dreamt I entered a house I knew well. To be my wife, but living with another man. She stood by the window, and I chose her once more. The Rocky Mountains rise straight up out of the plains. I dreamt I had entered a monastery. Men with tonsured heads stood all around me. Everywhere there were lamps that go on by themselves. And my brother was there, not dead at all. 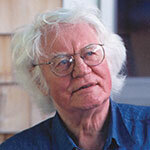 Robert Bly is an internationally recognized poet, translator, and editor. His most recent books include Talking into the Ear of a Donkey (W.W. Norton) and Like the New Moon I Will Live My Life (White Pine). His collected poems are forthcoming from Norton. He lives in Minneapolis with his wife, Ruth. 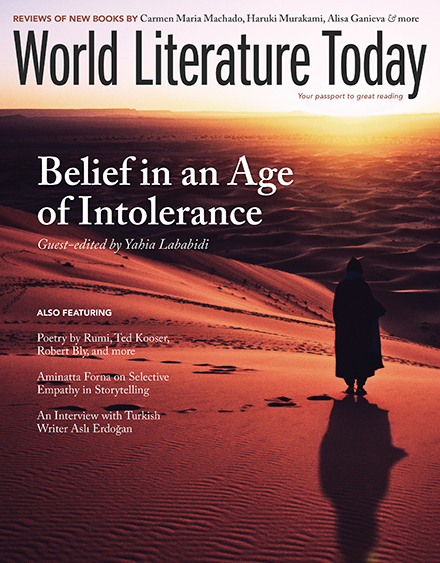 Belief in an Age of Intolerance, the urgent cover feature guest-edited by Yahia Lababidi, features 15 writers from around the globe.